Package and serve foot long franks, kielbasa, and sausages with this Carnival King 12" printed foil hot dog bag! Great for concession stands, kiosks, and convenience stores, this bag boasts a colorful print to enhance and boost impulse sales. Plus, its elongated design allows you to package and sell smaller items, too. 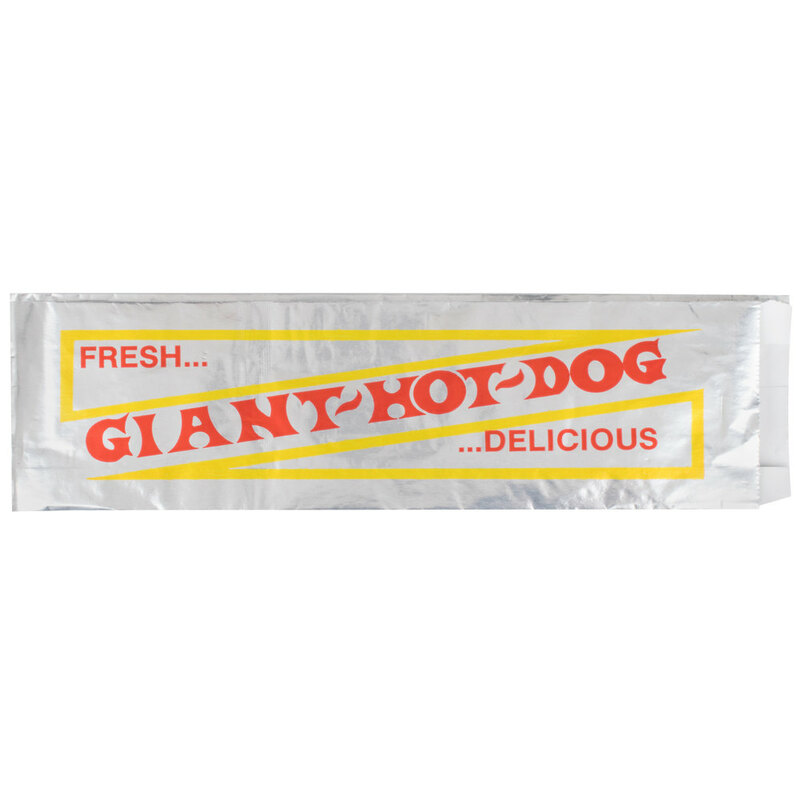 Made of strong, foil-coated paper, this Carnival King bag seals in heat and moisture, ensuring your hot dogs always taste like they're right off the grill. It's also grease resistant to keep your customers' hands clean. Simply open up the end, slide a hot dog in, and serve! After your customers have finished, the bag is disposable and can be conveniently thrown away.